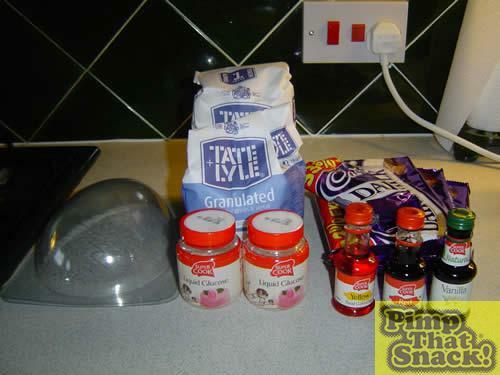 Learn more about Cadbury's Creme Egg (Cadbury-Schweppes) at Snackabase.com! 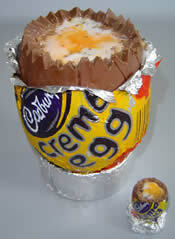 After deciding to get pimping it took us about five seconds to plump for a Cadburys Creme Egg. We decided not to let the fact that it had been pimped before put us off because we thought we could make the Creme de la Creme Egg! 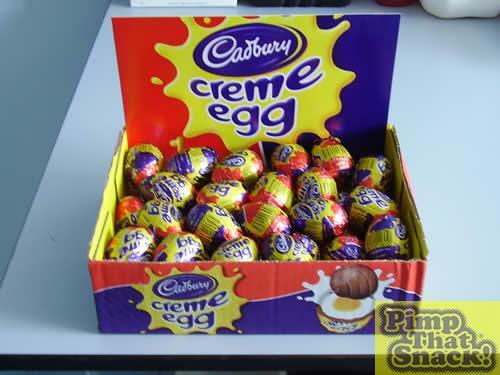 Our first challenge was obtaining out of season Creme Eggs for comparison and mid-pimp snacking but that was solved thanks to the internet. Three days later we were the proud owners of 48 of them! 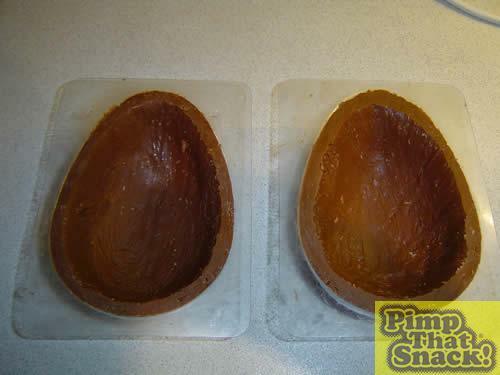 After procuring an Easter Egg mould (£4.32 from eBay) we were ready to go. 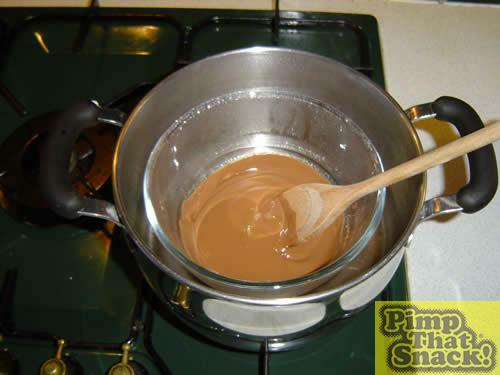 Melt about 150 g chocolate in a glass bowl over a pan of boiling water. 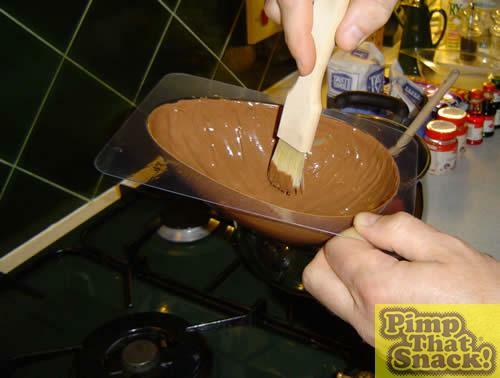 Spread the melted chocolate into the egg mould with a pastry brush. 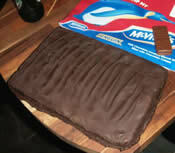 Place in fridge until set. Repeat 10-12 times to build up a shell about 1/2" thick. 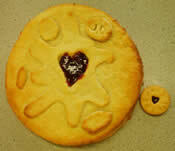 Trim the edges with a sharp knife then pop the shells out of the moulds. 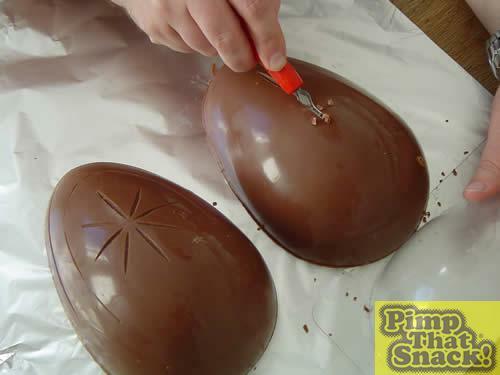 Engrave shells with the classic Creme Egg star and rings pattern and return to moulds for protection.